Prior to his start against the Chicago Cubs at Wrigley Field on Tuesday, Cleveland Indians starter Trevor Bauer took to the mound and wrote something that appeared to say “BD 911” in the dirt on his mound. If Trevor Bauer writing “Bush did 9/11” on the mound isn’t a powerful enough example to prove sports is an impactful vehicle for political activism then I don’t know what is. 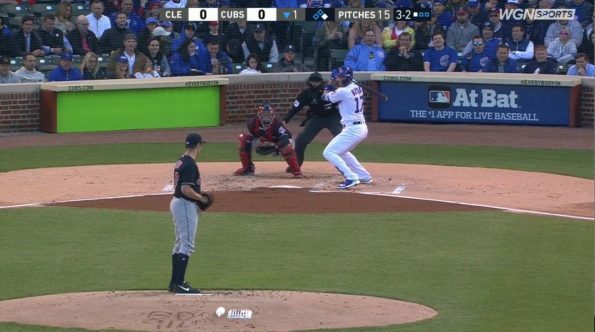 Soooooo Trevor Bauer wrote “B D 911” on the mound today, which some folks are suggesting might stand for “Bush Did 9/11”. I would like to point out that on the recent episode I called him a “reddit thread turned into a baseball player” and I feel vindicated. After the game, Bauer saw the commotion on social media and immediately took to his Twitter account and blasted anyone who thought he would do such a thing. Bauer said what he was really writing was BD 91.1, and it was a message to his training partner.